Have you traveled to the Dominican Republic a few times and liked it enough to possibly live here. 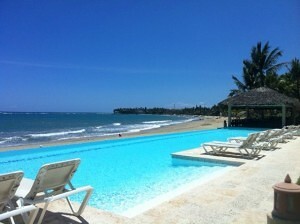 Come and check out our Dominican Republic North Coast Rentals. All kinds of Dominican Republic north coast rentals are available and may afford the prospective buyer or those seeking long-or-short-term vacation rentals a viable alternative to hotels. 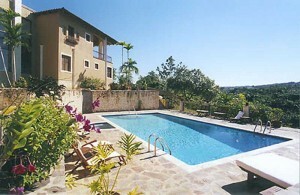 Vacation rentals in the Dominican Republic are offered for every budget. Villa rentals & condo rentals in major towns such as Sosua or Cabarete are popular, particularly beachfront rentals in Cabarete and Sosua. Stunning villas are available, some fully staffed, offering fabulous amenities such as horseback riding, private beaches, and mini-spas. A villa rental in the Dominican Republic will create memories that will last a lifetime. If one is considering living in the Dominican Republic, it is advisable to rent in the area in which one believes they will eventually settle. Selecting the type of residence, whether a condo, small house or substantial villa, is important as it will provide a more realistic living experience. Select Caribbean Properties lists many long-term rentals in Cabarete, Sosua and Cabrera….and everywhere in between. Many clients prefer to rent in established projects either on the beach, in town or in the hills behind Sosua, Cabarete or Cabrera. 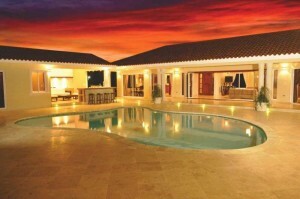 Selected country projects offer rentals of smaller condos, houses or villas for very reasonable rates. Many offer pools and community amenities such as tennis courts and shady kiosks for gathering with friends. The Beachfront condo projects of Cabarete and Sosua offer magnificent groupings of contemporary buildings placed around common areas, all with stunning ocean views. Your Dominican Republic vacation, whether for a week or a few months, will pass pleasurably and without stress. And the water-sports activities such as kiteboarding, windsurfing, dinghy sailing and long-or-short board surfing will fill your days with healthy fun. The pinnacle of the Dominican Republic vacation rental market is occupied by some of the most breathtaking villas in all the Caribbean. One, a 15,000 square-foot masterpiece, occupies an oceanfront cliff top near Cabrera. From this fabulous vacation villa, one wanders down a winding path to a private sandy beach. The lighted clay tennis court will have you running in the cooler hours while half a dozen horses stand ready to take you on a mountain excursion. The trained staff often will pamper you. It will be just as you envisioned your Dominican Republic rental villa would be…and more!